Ranger, M20, M21, M22, 201 and More . . . . The Mooney Aviation Company, Inc. (MAC) (formerly the Mooney Aircraft Company) is a Chinese-owned manufacturer of single-engined general aviation aircraft based in Kerrville, Texas, United States. aircraft appraiser The company has gone bankrupt and changed ownership several times. Among its achievements were the first pressurized single-engined, piston-powered aircraft (M22 Mustang), production of the fastest civilian single-engined, piston-powered aircraft in the world (M20TN Acclaim Type S), the first production aircraft to achieve 201 mph (323 km/h) on 200 hp (150 kW)) (M20J 201) and the fastest transcontinental flight in a single-engined, piston-powered production aircraft (M20K 231). All Mooney aircraft have the signature vertical stabilizer with its vertical leading edge and swept trailing edge that gives the illusion of being forward-swept. 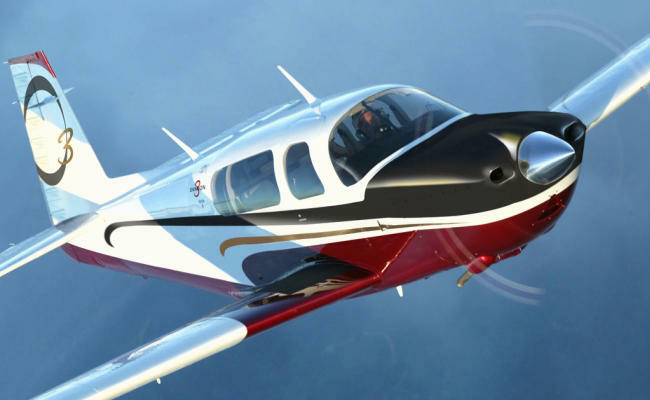 Why are Mooney aircraft so special? • First pressurized single-engine, piston-powered aircraft (M22 Mustang). • Fastest transcontinental flight in a single-engine, piston-powered production aircraft (M20K 231). • First production aircraft to achieve 200 mph on 200HP (M20J 201). • Several altitude records (M20K 231). • First single-engine, power-control certified (FADEC) in the U.S. (M20L Porsche). • Fastest piston-powered aircraft currently in production (M20M DX single). • First single-engine aircraft certified for flight into known icing conditions (M20M DX w/TKS anti- icing system). • More than 130 world speed records. • First single-engine retractable to achieve 237 KTS (M20). 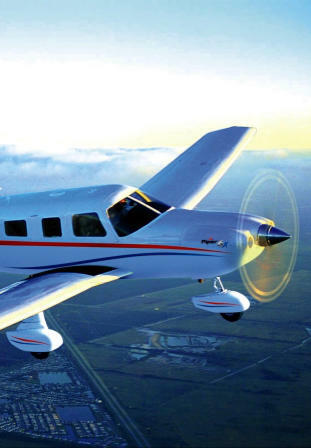 AERONUVO, a member of the National Aircraft Appraisers Association (NAAA) has access to important data to perform and deliver an aircraft appraisal for many Mooney aircraft models. This critical repositiory of information, assists in the creation of Mooney aircraft appraisal reports. The following is a list of Mooney aircraft that a Fair Market Value (FMV) appraisal report can be delivered to you by members of the NAAA. Objective, accurate and unbiased as always. Mooney 2, Mooney 201, Mooney 205, Mooney 20A, Mooney 20-A, Mooney 21, Mooney 231, Mooney 252, Mooney 252 TSE, Mooney 3 GX, Mooney 301, Mooney A2A Cadet, Mooney A2-A Cadet, Mooney Acclaim, Mooney Acclaim Ultra, Mooney Allegro, Mooney Bravo, Mooney Cadet, Mooney Chapparal, Mooney DX, Mooney Eagle, Mooney Encore, Mooney Exec, Mooney Executive, Mooney GX, Mooney M10 Cadet, Mooney M-10 Cadet, Mooney M10J, Mooney M10-J, Mooney M10T, Mooney M10-T, Mooney M18, Mooney M-18, Mooney M18 Mite, Mooney M20, Mooney M20 Mark 20, Mooney M-20 Mark 20, Mooney M20A, Mooney M20-A, Mooney M20A Mark, Mooney M20-A Mark, Mooney M20B, Mooney M20-B, Mooney M20B Mark 21, Mooney M-20B Mark 21, Mooney M20C, Mooney M20-C, Mooney M20C Mark 21, Mooney M-20C Mark 21, Mooney M20C Ranger, Mooney M20-C Ranger, Mooney M-20C Ranger, Mooney M20D, Mooney M20-D, Mooney M20D Master, Mooney M20-D Master, Mooney M20E, Mooney M20-E, Mooney M20E Chaparral, Mooney M20-E Chaparral, Mooney M-20E Chaparral, Mooney M20E Super 21 Chaparral, Mooney M-20E Super 21 Chaparral, Mooney M20F, Mooney M20-F, Mooney M-20F, Mooney M20F Executive 21, Mooney M20-F Executive 21, Mooney M-20F Executive 21, Mooney M20G, Mooney M20-G, Mooney M20-G Statesman, Mooney M- 20G Statesman, Mooney M20J, Mooney M20-J, Mooney M20J, Mooney M20K, Mooney M20-K, Mooney M-20K, Mooney M20L, Mooney M20M, Mooney M20-M, Mooney M20R, Mooney M20-R, Mooney M- 20R, Mooney M20R Ovation 3, Mooney M20S, Mooney M20-S, Mooney M20TN, Mooney M20-TN, Mooney M20TN Acclaim Type S, Mooney M22, Mooney M-22, Mooney M2A, Mooney M2-A, Mooney Mark, Mooney Mark 20, Mooney Master, Mooney Missile, Mooney Mite, Mooney MSE, Mooney Mustang, Mooney Ovation, Mooney Ovation2, Mooney Ovation3, Mooney PFM, Mooney Ranger, Mooney S, Mooney Statesman, Mooney Super 21, Mooney TLS, Mooney TSE, Mooney Turbo, Mooney TX1, Mooney TX-1, Mooney Type S. AERONUVO can deliver a professional opinion and appraisal report of the present fair market value (FMV) price on an aircraft, the value on an aircraft to be renovated or modified and the value of an aircraft as a prudent safeguard against excessive tax assessments, capital gains and other taxes. 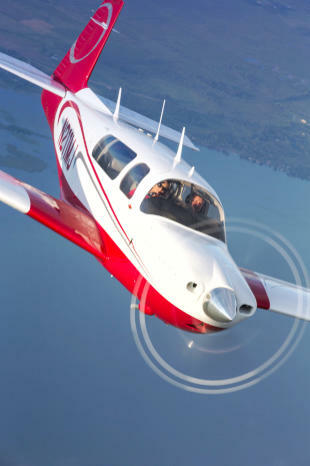 Our Premier and Certified Aircraft Appraisal Services include Aeronca, Aero Commander, American Champion (ACA), American General, Aviat Husky and Pitts, Beechcraft (Beech), Bellanca, Citabria, Cessna, Cirrus, CubCrafters (Cub Crafters), DAHER SOCATA, Diamond, Ercoupe, Glasair, Great Lakes, Grumman American, Lancair, Luscombe, Maule, Mooney, Piper, Rockwell Commander, Stinson and More. AERONUVO is not affiliated with the Mooney Aircraft Company. The Mooney Aviation Company, Inc. (MAC) (formerly the Mooney Aircraft Company) is a Chinese-owned manufacturer of single-engined general aviation aircraft based in Kerrville, Texas, United States. The company has gone bankrupt and changed ownership several times. Among its achievements were the first pressurized single-engined, piston- powered aircraft (M22 Mustang), production of the fastest civilian single-engined, piston-powered aircraft in the world (M20TN Acclaim Type S), the first production aircraft to achieve 201 mph (323 km/h) on 200 hp (150 kW)) (M20J 201) and the fastest transcontinental flight in a single-engined, piston-powered production aircraft (M20K 231). All Mooney aircraft have the signature vertical stabilizer with its vertical leading edge and swept trailing edge that gives the illusion of being forward-swept. AERONUVO, a member of the National Association of Aircraft Appraisers (NAAA) has access to important data for many Mooney aircraft models. This critical repositiory of information, assists in the creation of Mooney aircraft appraisal reports. The following is a list of Mooney aircraft that a Fair Market Value (FMV) appraisal report can be delivered to you by members of the NAAA. Objective, accurate and unbiased as always. Mooney Acclaim, Mooney S, Mooney M2A, Mooney Cadet, Mooney M-2A, Mooney M10 Cadet, Mooney M10T, Mooney M10J, Mooney M18, Mooney M-18, Mooney Mite, Mooney TX-1, Mooney TX1, Mooney M20, Mooney Mark, Mooney 20A, Mooney M22, Mooney Mustang, Mooney 301, Mooney M20-B, Mooney 21, Mooney M20-C, Mooney 21, Mooney M20-D, Mooney M20D, Mooney Master, Mooney M20-E, Mooney Chaparral, Mooney M20E, Mooney Super 21, Mooney 21, Mooney Chapparal, Mooney M20-G, Mooney Statesman, Mooney M20-C, Mooney Ranger, Mooney M20, Mooney Mark 20, Mooney M-20F, Mooney Executive, Mooney 201, Mooney M-20J, Mooney Missile, Mooney 205, Mooney 231, Mooney M-20K, Mooney M20K, Mooney Turbo, Mooney M-22, Mooney 252, Mooney TSE, Mooney Ovation, Mooney 2, Mooney DX, Mooney M-20R, Mooney Bravo, Mooney M20M, Mooney GX, Mooney Bravo, Mooney Eagle, Mooney M20-S, Mooney M20S, Mooney M20R, Mooney Acclaim, Mooney Type S, Mooney M20J, Mooney M20-J, Mooney Allegro, Mooney M22, Mooney Mustang, Mooney 3 GX, Mooney 252TSE, Mooney 252-TSE, Mooney MSE, Mooney M20F, Mooney M20-F, Mooney Exec, Mooney Executive, Mooney 21, Mooney A2A, Mooney A2-A. 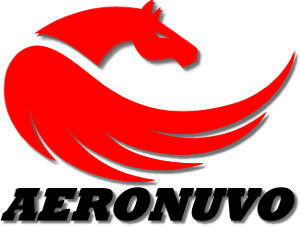 AERONUVO is not affiliated with the Mooney Aircraft Company.